Humphrey Bogart will always be one of the most famous and enduring leading men in Hollywood and movies history. 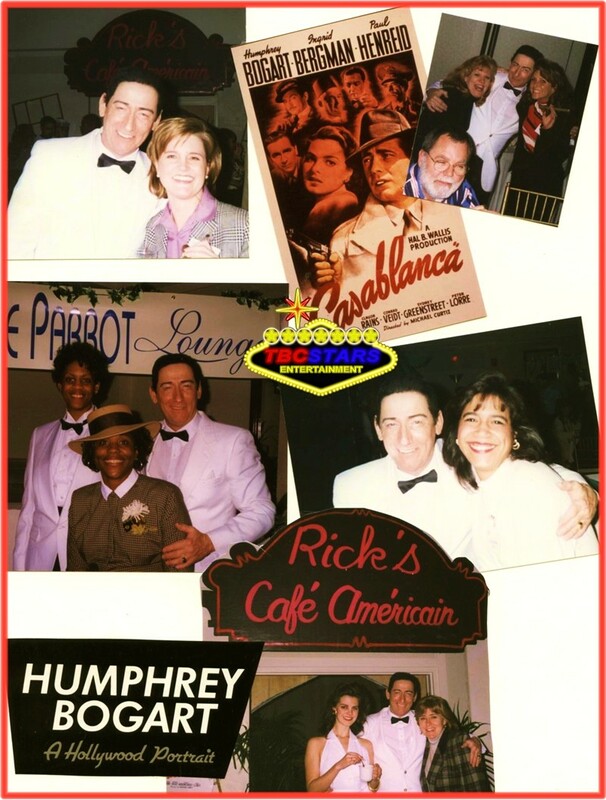 His signature roles as 'Rick" from "Casablanca" ( One of the AMI"s top 10 movies of all time! ) 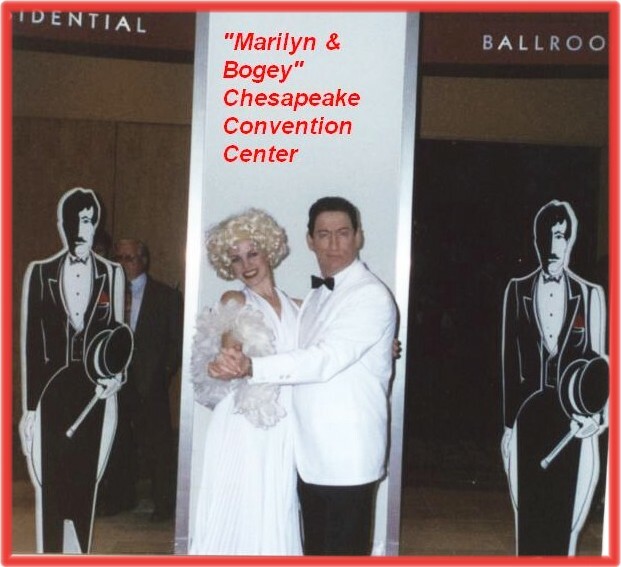 and "Sam Spade" of "The Maltese Falcon" made him one of the very first super- superstars!....and in case you didn't know, Bogey was the founder of the famous "Rat Pack," way before the Las Vegas guys of Sinatra, Martin and Davis. So, if you're gonna swing with any kind of "Rat Pack" entertainment, you've got to have the grandaddy and president of the Rat Packers there to keep them in line! 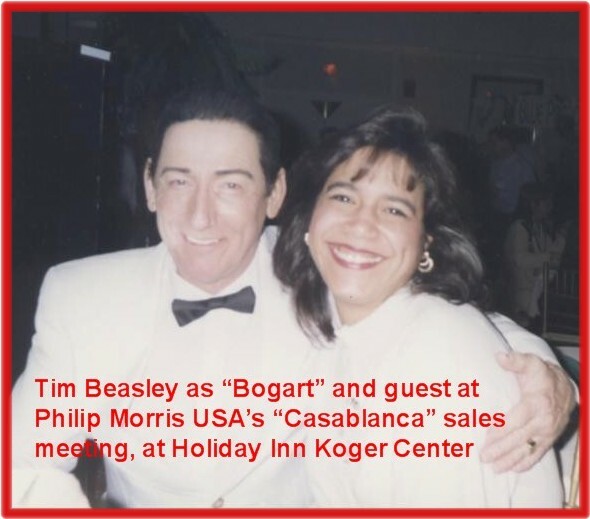 Our "Bogey" has performed for many "Casablanca" theme parties and fundraisers in that highly romantic adventure drama role...instantly recognized in these appearances...see for yourself! 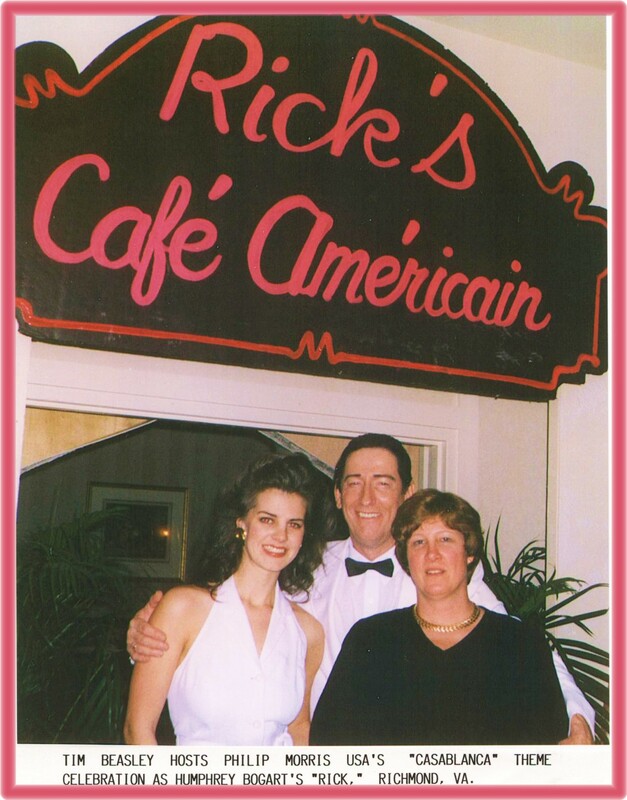 Not only does our "Rick, Sam or Bogey" look and act the part, he "talks the talk, too!... 'that's right, sweetheart!" Don't forget that Humphrey Bogart was the founder of the famous "Rat Pack" of legendary Las Vegas fellows Frank Sinatra, Dean Martin and Sammy Davis Jr...it just happened that Sinatra joined as a junior member into Bogart's Rat Pack in the earlier days of Palm Springs society. 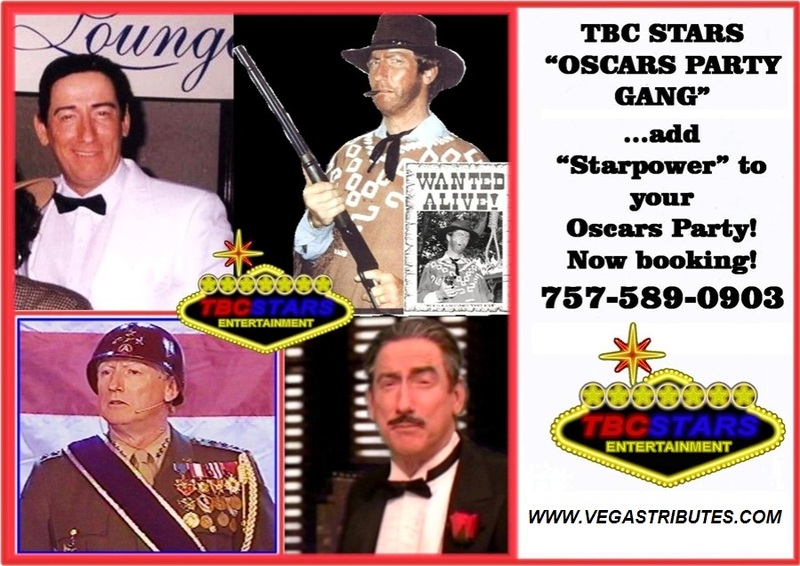 Book "Humphrey Bogart" for any Hollywood red carpet glamorous event....It'll mean an "Oscar" for you and your guests!